In today’s globalized business environment, the need to build strong relationships with partners, suppliers, internal teams, investors and customers is more important than ever. 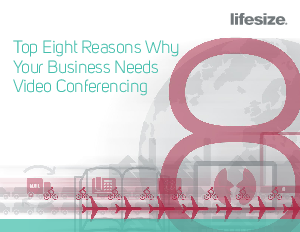 High-quality video conference calls enable you to communicate as effectively as actually being there in person, helping you to build the engaging relationships needed for success in business. video. And no longer does sophisticated technology mean a complicated and difficult video experience. Lifesize enables simple, frequent, quality interactions from wherever you are and on any device.